Nicola Burrell, painter and sculptor based in Colchester, Essex. Studied in Fine Art BA (Hons) & MA at the University of Ulster at Belfast. Produces paintings that are built up into relief using found materials, usually of urban subjects. 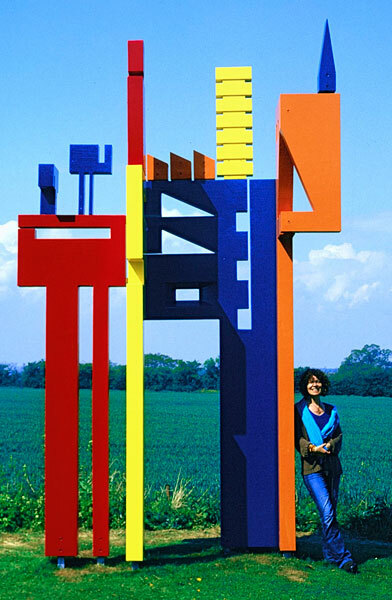 Creates site specific sculptures, most recently in welded steel and coloured concrete. Extensive experience of running public and community art projects, especially known for making cardboard artworks in schools. Paintings in various collections, numerous commissions, public artworks over East Anglia. Copyright © 2019 Nicola Burrell. All Rights Reserved.